CLEAN TITLE! LOW MILES!! DIESEL! 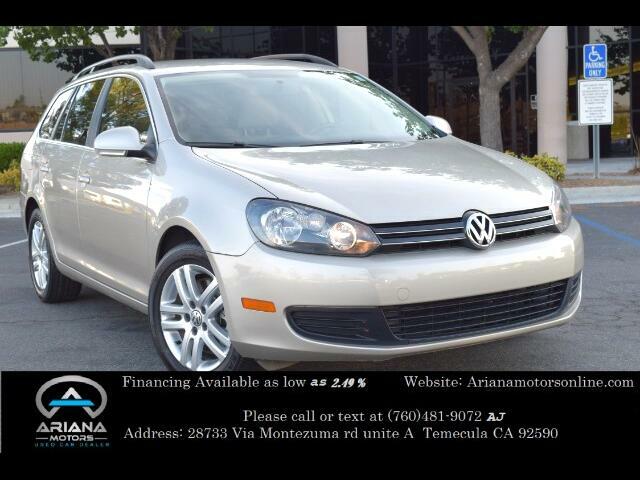 2013 Volkswagen Jetta Sportwagen 2.0L TDI, 2.0L L4 Engine, Automatic Transmission, Clean Title with 40,145 Miles. This Jetta is equipped with Leather Seats, Steering Wheel Controls, Power Doors and Windows, Air Conditioning, Dual Air, AM/FM Radio, Satellite Radio, AUX, Phone, Display and many Safety Options. This is a great commuter vehicle that gets 30 MPG in the city and 42 on the highway. It comes with three spare keys. In excellent condition inside and out! Drives smooth like new! Please review vehicle options for more information. Please call or text for vehicle availability at 760-481-9072. All Vehicle Trade-ins are welcome! Dealership hours are as follows: Monday - Friday (10am - 7pm) Saturday ( 10am - 5pm) Sunday (10am - 2:30pm). We also provide Extended Warranty program to protect consumers against any future breakdowns and repairs. Our Plans go above and beyond most manufacturers’ warranty for both new and used vehicles. Ask about how you can purchase this additional plan for peace of mind.